Plustek OpticSlim 2680H is the latest innovation in lightweight A4 size scanner. The OpticSlim 2680H completes a high quality 300 dpi resolution color image scan in just 3 seconds, providing outstanding efficiencies and economies of scanning. Moreover, the OpticSlim 2680H is the fastest flatbed scanner with the ability to link with ADF scanners such as the SmartOffice PS4080U, PS456U and SC8016U via USB connection, providing a convenient dual-mode scanning interface for a single workstation and DocAction software. Stylish ergonomic horizontal flip-top; easy to operate and store-away. Using LED light source, no warm-up needed; its eco-friendly and energy saving. Significantly improve your work efficiency by converting your paper documents to electronic documents only in 3 seconds. Link together with ADF (Auto Document Feeder) scanner and enjoy lighting speed scanning. 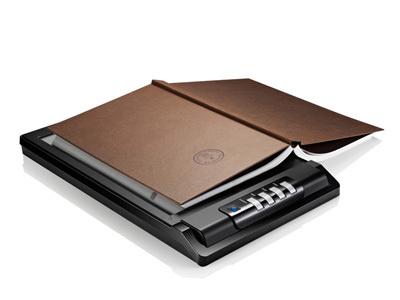 90 degrees foldable flip cover, easily scan thicker books, magazines, and other 3D objects. Scan: You may customize this button function to meet your applications. PDF: Convert images to text documents created by the scanner into searchable PDF or PDF image files. Custom: place a key feature set (Copy,OCR,PDF,E-mail,Scan,File), allowing you to scan more conveniently and easily. Removable flip-top cover offering an alternative for scanning hardbound books and larger files without any limitation or boundaries. Click the button below to add the Plustek OpticSlim 2680H Flatbed Scanner A4 Size, Scan Speed 3 sec, 1200 dpi, Searchable PDF, OCR, Auto Deskew to your wish list.